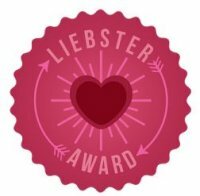 An extra big thank you/grazie to my blog buddy and real-life buddy each year in Matera, the talented author Catherine McNamara, for nominating me for the Liebster Blog Her Award. If you don’t yet know Catherine’s work, take a look at my earlier author interviews with her for her novel and short stories. As part of this award, I have to answer six questions, write six random facts about myself, and nominate six wonderful female bloggers for this award. 1) Do you think blogging helps or hinders your writing/creative efforts? Okay, I’m clearly a fence-sitter. Both. I love blogging – I love the creativity of writing posts, the interaction with readers, and reading/discovering all of the great blogs out there. But there are only twenty-four hours in a day, and staying engaged with social media – especially when it’s squeezed between work, family, home, sports, social obligations, etc. – clearly takes time away from writing. I think it is hard to balance everything and still ensure enough writing time. 2) Do you ever regret choosing to write? No. But I have an outside career that is important to me. Nathan Bransford had a great post on this recently. I do sometimes wonder if I would regret it if I were writing as my career. 3) What had been your biggest creative triumph so far? Publishing stories is always a personal triumph, but honestly, my biggest creative triumph is much simpler. I feel it whenever a story idea comes to me and I can’t shake it from my mind. That process always feels like a creative triumph to me. I’m an optimistic enough person – or perhaps just naive enough? – to honestly believe disappointments serve a purpose. I try not to get hung up on them. I keep plugging on because I want to. Some will like my writing, others won’t, but you can’t get bogged down in disappointments or regrets. Ignore them and move on. And that works in all areas of life, not just writing. 5) Are you working hard enough? I went to a wonderful lecture by author Joyce Carol Oates here in Rome. She is the author of over seventy books – novels, plays, non-fiction – plus short stories and essays. At that talk, she said she doesn’t work hard enough and feels she ‘wastes quite a bit of time’. If that’s how Ms Oates describes her work, how can I possibly respond in the affirmative? One can always work more – but if that takes away from time with my family, or fully enjoying life, or travelling and learning about the world, then I’m not that interested. So no, I’m probably not working hard enough, but I’m more than okay with that. 6) Who do you share your work with? My wonderful writing group in Rome. 5. Learning a new language will always keep you humble. Struggling like a three-year-old to make yourself understood in a foreign country is something everyone should experience. And that moment where you can finally carry on a decent conversation with a native speaker is magical. So, talented writers and bloggers, I hope you will take up the challenge to answer these questions, share six random facts about yourself, and nominate six other bloggers for this award. Great answers Kimberly and wow how wonderful to hear Joyce Carol Oates speak. I’ve been reading her work for years and her output is frightening! I love your comment about learning a language – as a former Spanish teacher and getting to that magical point during my 4th month when I lived in Nicaragua, I appreciate the sentiment! I always remind my students that in a real situation, people they are speaking to will try to help you and not worry about if you are getting it all right. I am a bit jealous that you REALLY probably know Italian now (as much as a non-native speaker can) and wish I were at that level with my Spanish. I’ve lost a lot. Nice to get to know you a little better through your answers to the questions. Special connection with for #5 in the random facts about you, of course. And I envy you for Joyce Carol Oates since I adore her work. She thinks she doesn’t work enough? Really? So many books. So many great books. Thanks, Evelyne. I enjoy your blog and will enjoy your answers. Yes, I would imagine we’d have a similar take on learning languages. These past years I’ve been learning Chinese, which is lots of fun and a real challenge. I know – isn’t it amazing that Oates described her own writing process as wasting lots of time? I enjoy her books, too, and was so pleased to see her speak, and to chat with her briefly at the signing. An impressive woman.